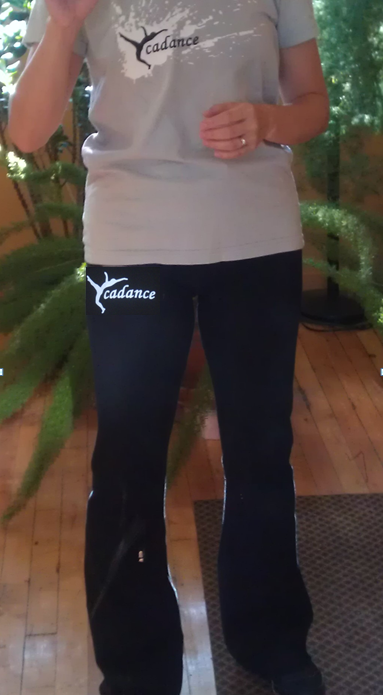 Cadancers have been asking for pants and here they are! Okay, so this photo of me modeling the yoga pants is a doctored photo (screen shot of the screen-printed logo pasted on to the pants! ), but this is essentially what they will look like. Relaxed lounge pants and relaxed capri pants are also available. Have a look at all of the colors, photos, sizing, and other information on the website. Please get your orders for pants, t-shirts, and tank tops in to me by Thursday, November 10, end of the day, so I can submit the order to screen printers on Friday morning. The orders usually take just under 2 weeks for delivery.